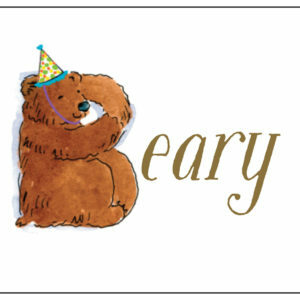 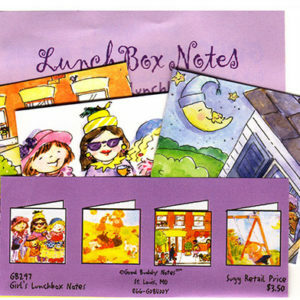 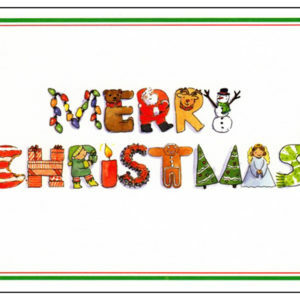 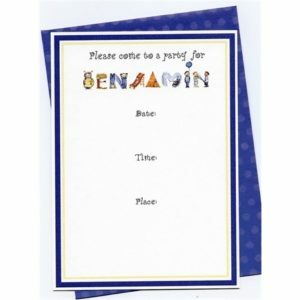 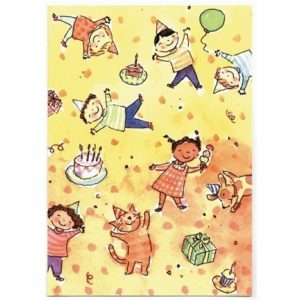 Categories: Birthday Cards, Greeting Cards, Invitations & Stationary Kits, Just for Kids. 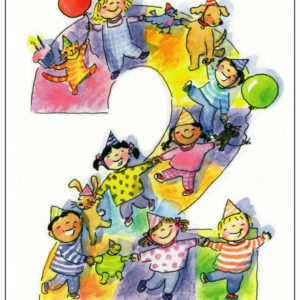 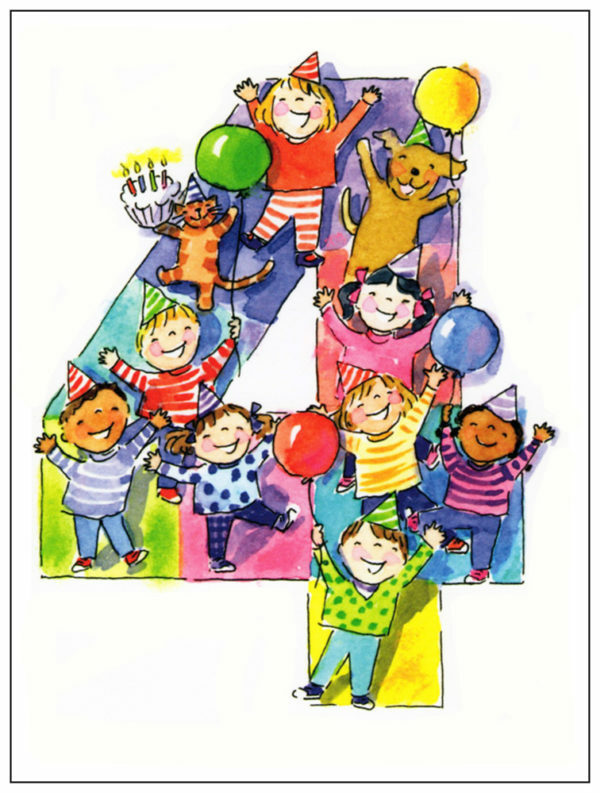 A fun greeting card for a child’s 4th, the 4th Birthday Card illustrated by artist Shelley Dieterichs with kids and animals holding balloons and 4th birthday cake make the shape of the number four. 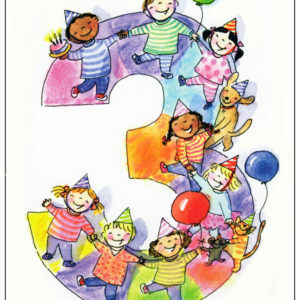 Inside the 4th birthday card the copy reads “There’s cake, presents and friends galore… to wish you Happy Birthday Number FOUR!” There are more fun birthday cards for kids and birthday party invitations in the Good Buddy Notes store!